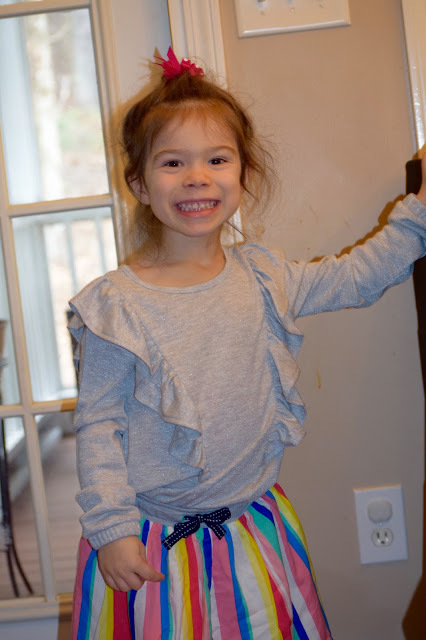 This post has been in the works for a little bit and I couldn't be more excited to share our big girl's 4th birthday! As you saw this weekend we had Lily's birthday party this past weekend and man, it went so well. 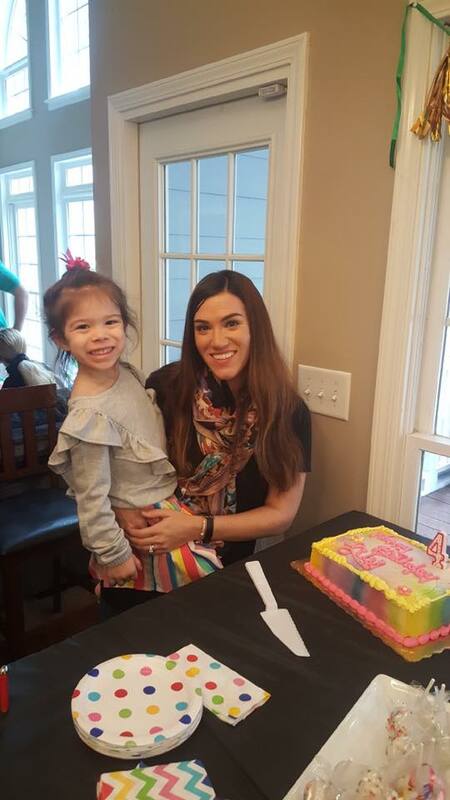 They say try not to blink because time goes by so fast and it truly does because 'm in denial my girl will be four tomorrow morning! 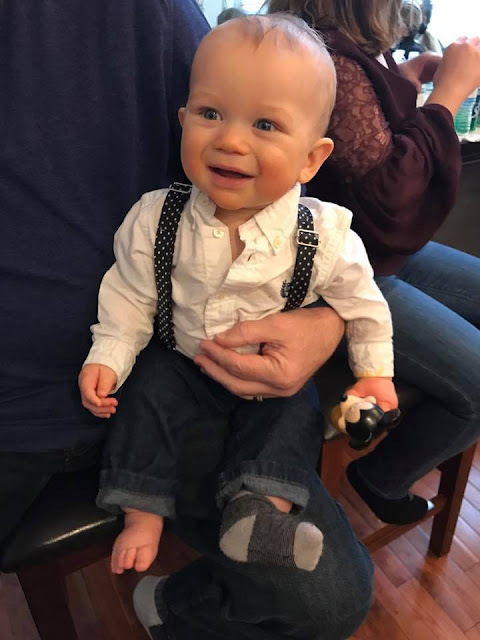 This past weekend we were able to share the joy in a fun theme for our little lady! 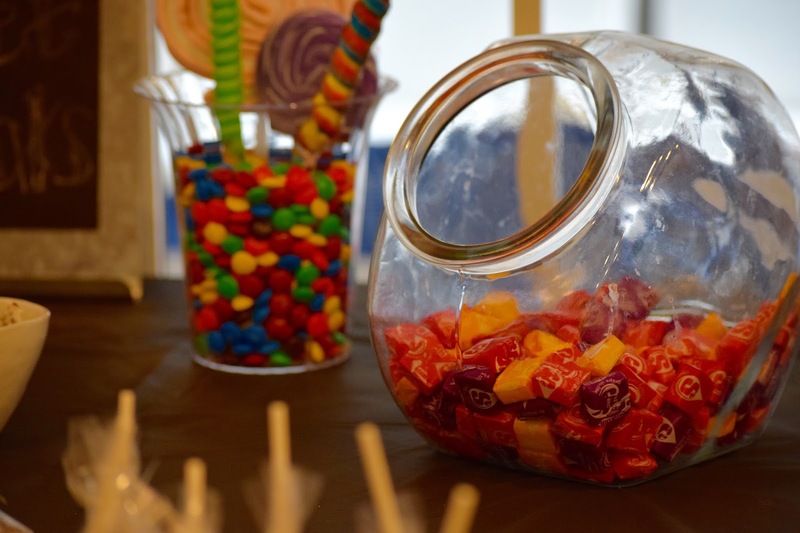 We decided on a candy theme because let's be honest, what toddler doesn't obsess over all things candy am I right? Lily actually is boarder lined obsessed with lollipops so I had to incorporate a few of her favorite treats within our decor. 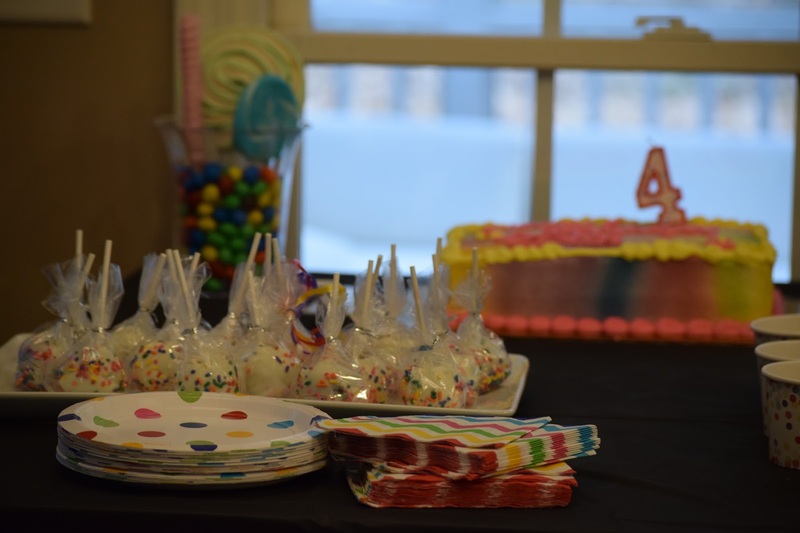 I wanted to create a fun, colorful theme with a few fun accents and of course my girl's favorite candy sprinkled in the mix. 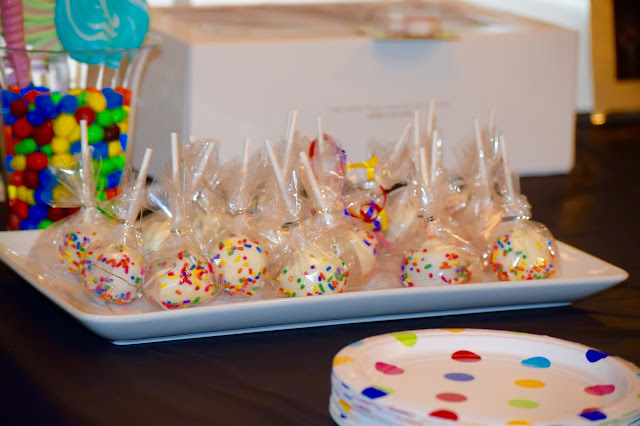 We had food for dessert including cake pops with a white chocolate coating and rainbow sprinkles, pinwheels in both a peanut butter and jelly and ham and cheese flavors, as well as the icing on the cake if you will; a chocolate fountain to dip your fruit in! The kids and even all our friends loved the idea! 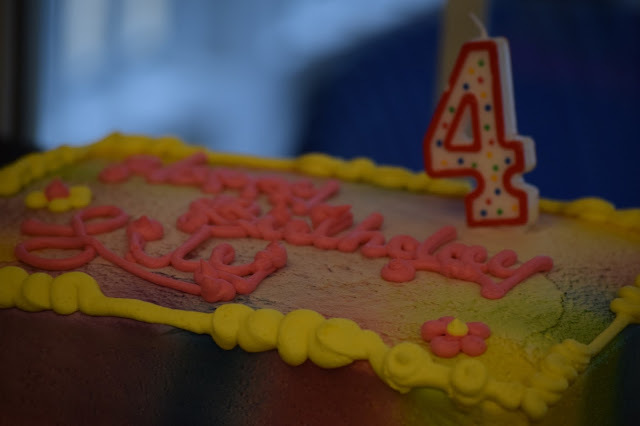 It was such a special event for our big 4 year old! I still can't believe she's been 4 for 24 hours now! I'm not even ready for Kindergarten next year! Looks like a great party! I love all the colorful treats. 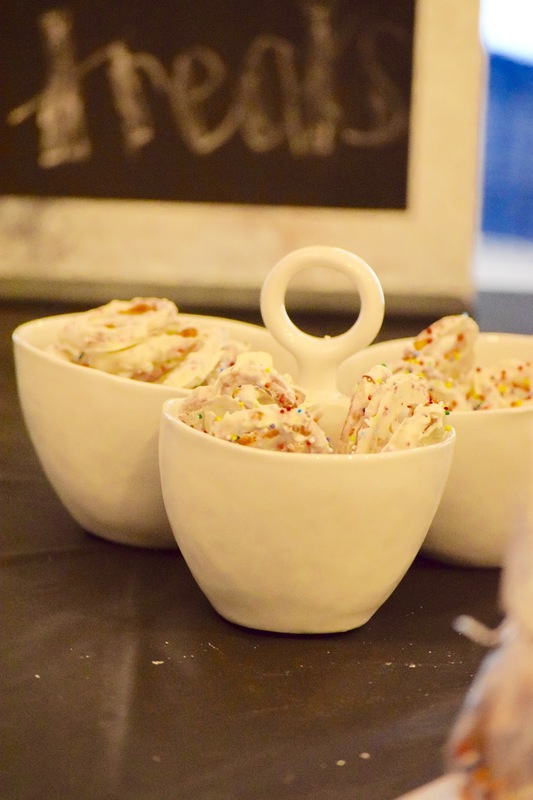 So fun to have a candy bar for everyone - very pretty and the kids must have loved it! This party looks amazing! What an adorable theme! I bet she had a blast!! Aw, what a fun idea for a party! I'm sure had a blast. Love that you had a chocolate fountain. Oh my gosh, your daughter is adorable! 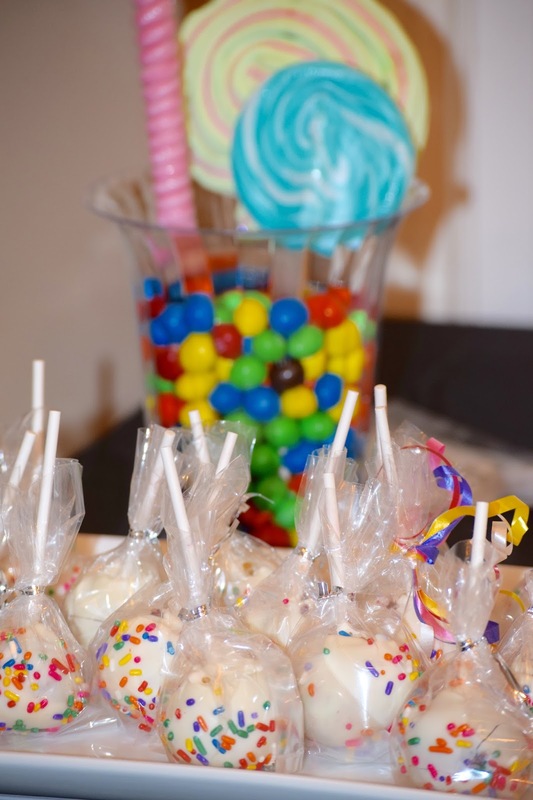 And the party looks so cute and yummy!! AWwwwww. 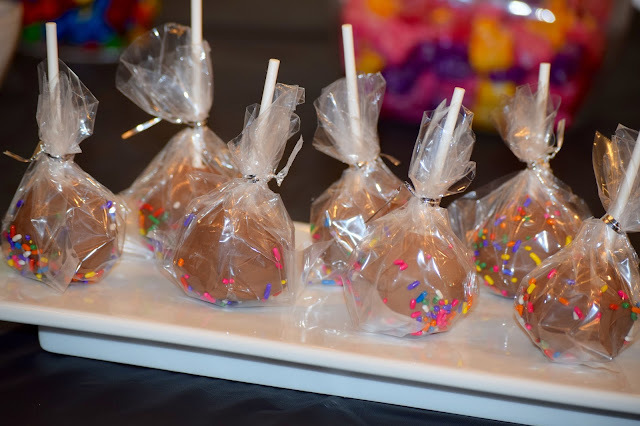 I love the cake pops! Lucky Lily! 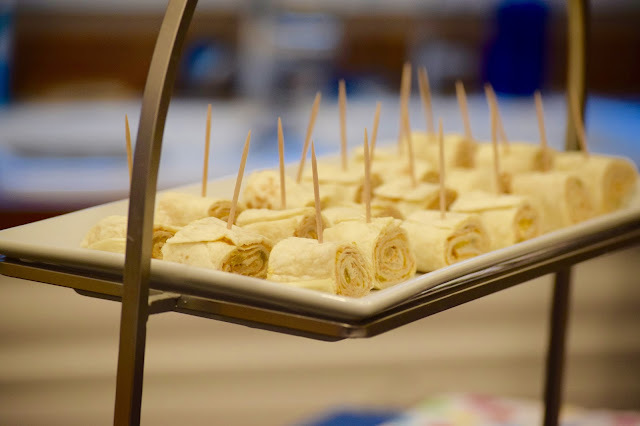 That is such an adorable idea for a party! I love all of the treats and Lily looks SO thrilled. I love this party! SO gorgeous! Well done. I absolutely love my kids parties. Congratulations to your princess! The party looks really cute, and those cake pops look super yummy!